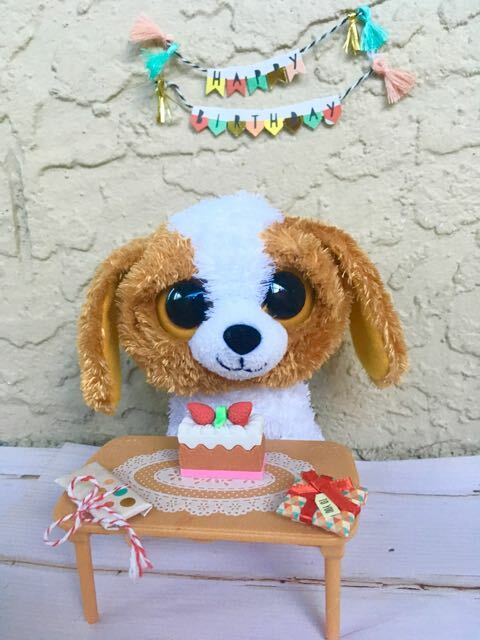 Note: This TY Beanie Boos Birthdays list is updated every month to include the new releases. Did you know that there are several Beanie Boos with no birthdays? That's right. When Beanie Boos were first invented, they were sold with tags that did not include birthday information. Since these Beanie Boos are all early models and have been retired, chances are you don't have any of them. Here's the list of Beanie Boos without birthdays: Bubblegum (Koala Bear), Kooky, Bananas, Kiwi, Bamboo, Bubblegum (Lemur), Cleo. For more information about your favorite Beanie Boos, such as tag phrase, release data and retired date, visit our Beanie Boo List. If you want some ideas on how to celebrate your birthday, check out our article on How to Have a Beanie Boo-Themed Birthday Party. If there is no Beanie Boo that shares your birthday, we recommend using our Beanie Boo Birth Certificate to choose another birthday to your favorite Beanie Boo.